There are a few renovations you can make to your home that will add as much luxury and practicality as a walk-in wardrobe. There are so many ways and methods that can help you organise and make the most of the space you have. But none can provide you with the kind of space, convenience and versatility of your very own walk-in closet. Imagine a spacious, inviting private room where you can keep all your cherished clothes and accessories neat and organized. You’ll always be able to find anything you’re looking for. You can also get dressed and ready in peace each morning, without the hassles that come along with smaller standard sized closets. Sure, it can be a pricey endeavour, but there’s no doubt it’s every bit worth the time and money you put into it. The pros absolutely outweigh the cons. These 5 reasons why you need a walk-in wardrobe will make it hard to talk yourself out of it. It’s obvious that a renovation of a walk-in closet can do wonders for the functionality of your closet, clothes and life in general. With all the extra space, you’ll be able to sort and organise your clothes, shoes and accessories more effectively. Depending on how much space you have, it might even be possible to add in a bench for folding, ironing or anything else you might need. You can also add plenty of shelves and drawers to set up everything just the way you like it. Having all that extra room to organise also makes browsing and selecting outfits much quicker and easier. Imagine getting ready in the morning without having to dig and sift through a tiny, cramped closet. It’ll make your morning routine much more efficient and cut your dressing time in half or more. One way to take better care of your clothes is to let them breathe, especially if you already like to invest and spend some money on your wardrobe. You’ll want to do your best to keep them in top shape for as long as possible. You’ll be quite surprised by how much better and fresher your clothes stay when they’re kept in a walk-in wardrobe. A walk-in closet provides your clothes with plenty of ventilation. It’s easy for mould and mildew to build up when moisture gets trapped in small areas like closets. The proper airflow in a walk-in closet helps protect your clothes from built-up humidity. This is especially helpful if your closet and bathroom are together or even just very close in proximity. Not only will a walk-in wardrobe protect your clothes from mould and mildew, you’ll notice that your clothes just smell and look better in general. They’ll no longer acquire that stale smell, and they’ll look much smoother and well-kept because they aren’t being crammed together in a tiny closet. Surprisingly enough, choosing to renovate a walk-in wardrobe as opposed to a built-in cupboard, may save you money. Many walk-in wardrobes don’t necessarily need doors or finishes which a conventional wardrobe would need. It may be less expensive to design and install a larger walk-in closet. Another great benefit of renovating your walk-in closet is being able to make the most of your existing space. It can really help you utilize all the available space you have. While standard closets pretty much must be rectangular because of the restrictions of sliding and outward opening doors, a walk-in could also be made under stairs, in an L-shape, square, triangular, or anything really. You have much more freedom to customise the shape of a walk-in than you would just adding in a standard closet. It helps you retain the space and size of your bedroom layout. Having the freedom to create any size or shaped space you need allows you to get the most of your home. 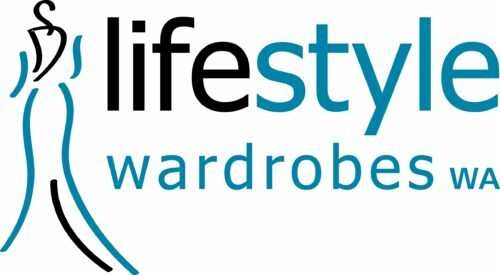 You also get to customise the perfect closet to fit your needs and your wardrobe. Think hooks, racks and rails wherever you want. This way, you won’t waste any space unnecessarily. Your walk-in won’t look messy or cluttered either with these space-utilising functions. There’s nothing that feels more luxurious and lavish than a walk-in wardrobe. There’s no denying that they also look amazing and so much nicer than the standard closet. A walk-in wardrobe is much higher in-demand these days. New home buyers are increasingly looking out for walk-in closets. They really are a stand-out feature when people are shopping for a new home and can even make it or break for some people. Whether you’re building a new home or renovating an existing one, investing in the installation of a walk-in closet can greatly increase the value of your house. In fact, some people deem it as essential as an ensuite. If you’re looking to eventually sell your home, it’s a renovation that could help make the house more attractive to prospective buyers and ultimately make you more money. It can take your master bedroom to the next level. Once you’ve decided to take the plunge, there are even more ways that you can make the most of your space. Even though the spaciousness of a walk-in can greatly help you stay organised, it can still get a bit messy if you don’t keep up with things. Depending on what you own and what most of your pieces are, you’ll want to pick and use the right kind of storage. It helps to do a stock take of everything you have. Analyse how many long or short pieces of clothing you have. Estimate how many you’d need to hang up or how many you can just fold and store away. If you have larger pieces of clothing or live in colder climates, deep drawers can be a practical storage solution. However, adjustable shelving is also an affordable solution that easily caters for large, bulky clothing. If you’re a shoe addict, the option of open shoe shelving can help keep them all in an attractive display. Alternatively, store them neatly behind a mirror door to best utilise space and benefit from a mirror to get dressed by. Another good idea for almost everyone is setting up two-tier hanging rods to maximise you’re hanging. Jewellery drawers are a fantastic way for storing or even displaying your delicate jewellery and cufflinks. If you have the space, an island drawer unit with a glass top to display your valuables is a luxurious way to finish your walk-in wardrobe with wow factor. One more tip is to include a hamper in your design. Make it one that can be hidden or only tilts out when you need to use it, so your laundry is concealed. You can get the most out of all your space while still keeping plenty of open floor space. Do this by using a combination of different storage options from floor to ceiling. Get some large drawers or shoe organisers toward the floor and place hanging rods above that. Then, have some large shelves or cabinets at the top for extra storage and seasonal pieces. It really all depends on what you have and what works best for you, but being sure to utilise floor to ceiling space will really give you a lot of storage room. Even if your walk-in isn’t really all that big, you’ll be able to really maximise what you have by organizing it all in an efficient way. Deciding to renovate a walk-in closet has to do with much more than just having extra room to display all your clothes. There are so many benefits that come along with effectively utilising your space. This is an investment that will repay you in more than one way. Walk-in closets can not only take much better care of the clothes that you spend your hard-earned money on, but it can upgrade and add value to your home. It’s more than just for your convenience. It’s also great for enticing future prospective buyers should you decide to sell your home. If that doesn’t convince you, then the sheer fact of increased organization, usable space and improved functionality should do it for you. Not to mention the fact that it may be more cost effective than building a traditional built-in closet. A walk-in wardrobe can improve your morning routine, giving you time to enjoy your breakfast or head to work earlier. You will never have to worry about clothes and shoes being all crammed into a tiny standard sized closet. Do yourself a favour and consider these amazing benefits that a walk-in closet could bring to you and your home.